There’s not much to say about this plant. It’s found Maine through Texas and parts of the upper Midwest, grows to three feet tall, and has flowers 2 inches across. It likes wet areas, like riverbanks. Looks a little like a coneflower, except that each ray flower has three lobes. I just really like how this picture came out. I saw a single plant on August 11 and haven’t seen any since. So glad I took the time to get some nice photos. 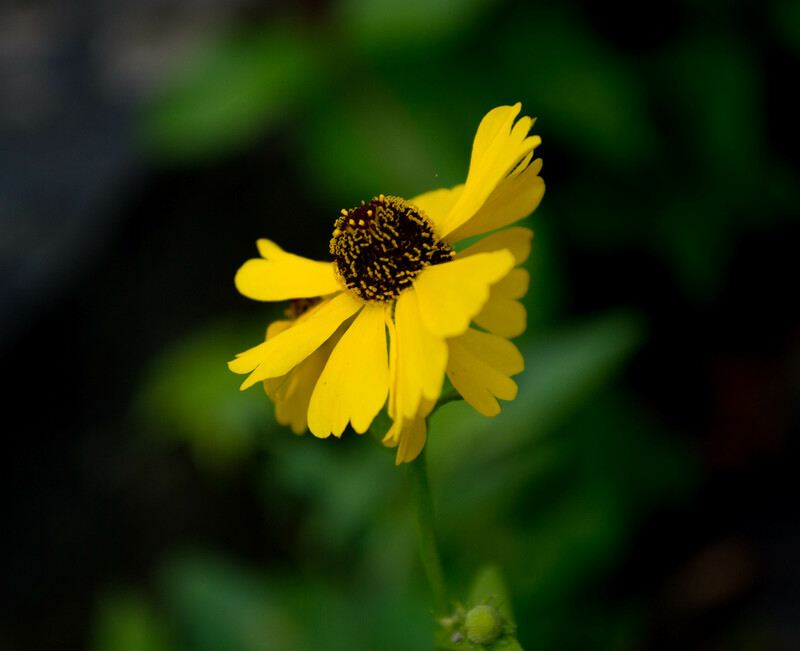 This entry was posted in Uncategorized and tagged aster family, coneflower, Helenium, native plants, purple-headed sneezeweed, wildflowers by elizabeth. Bookmark the permalink.